Porto Vecchio is an attractive old town perched high on dramatic hilltop with views across a natural harbour and deep bay. Beyond the city lies some of Corsica's most spectacular countryside. Porto Vecchio as we see it today has grown up around the famous 16th-century citadel, perched atop an outcrop of granite; and the rampart restaurants offer splendid views from this ancient vantage point. The town’s old centre, a maze of narrow streets, has kept its charm and still has the atmosphere of the fortress town it once was. Today Porto Vecchio is a lively centre for shopping, café-sitting and menu browsing and is one of Corsica's most fashionable towns. Excellent food shops are one of the attractions, from supermarkets to fascinating stores crammed with French and Corsican specialities. Up in the old town there is a wide range of boutiques and other shops for browsing plus many cafés which easily lure you in for a spot of people watching with a cool drink. In season, the bars and restaurants in and around town are always busy, giving the town a lively atmosphere. Below the town, Porto Vecchio boasts one of the most distinguished harbours in Europe, where bobbing boats jockey from positions alongside sun kissed holidaymakers promenading along the marina or sipping apéritifs in the shade of the pavement cafés. Wander the ancient streets of Old Porto Vecchio, the Borgo, where you can see the enormous twisted tree of the Place de la République, the 19th century church of St-Jean Baptiste and the gallery housed within the Bastion di A Funtana Vechju which still has the hole made by Sampiero Corso when he captured the town in 1564. The old Genoese walled town still seduces visitors with its picturesque narrow streets and the austerity of its high stone houses that are set within the Citadel's ramparts. If you're lucky enough, during your stay you'll be able to hear some of the polyphonic singing for which this part of the island is famous - keep an ear out for those low, dramatic harmonies as you walk through the citadel of an evening. Along the coast to the north and south of Porto Vecchio visitors are spoilt for choice when it comes to beaches, many backed by the splendour of the southern mountains and surrounded by wild perfumed maquis. Within 10 minutes drive north of Porto Vecchio lies the Cala Rossa headland, quiet and remote with sandy coves, and San Ciprianu, a long curve of gently shelving sand. Pinarellu is a pretty hamlet with shops and restaurants and a long, side beach of beautiful golden sand and shallows for children to play in. Heading south, there is a series of breathtaking spectacular sandy bays. 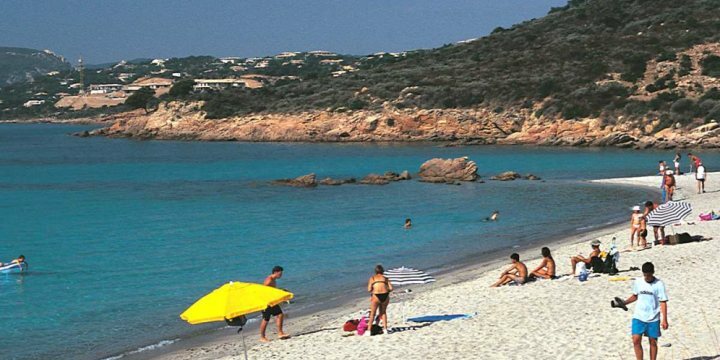 Palombaggia is perhaps the most famous beach on the island – with a series of coves leading to a long sandy beach facing the Cerbicales islands. It is certainly the most photographed. Internationally renowned, the clear turquoise water and pure white sand contrasts the fantastically shaped red rocks. Santa Guilia is an area where golden sandy beaches stretch out waiting for you. All amenities are available and it is truly a lovely site. The old Genoese walled town of Porto Vecchio seduces every visitor with its picturesque narrow streets and the austerity of its high stone houses that are set within the Citadel's ramparts. Wander the ancient streets and browse the chic boutiques and little shops selling local produce. Stop for a coffee on Place de la République and really take in the hustle and bustle of this charming town. Experience live Corsican music and soak up the local atmosphere. Amongst the best venues is 'la Taverne du Roi', which is tucked away in the citadel of Porto Vecchio. Many restaurants also host a Corsican night once a week featuring a local band - look out for posters or ask your representative for up-to-date information. 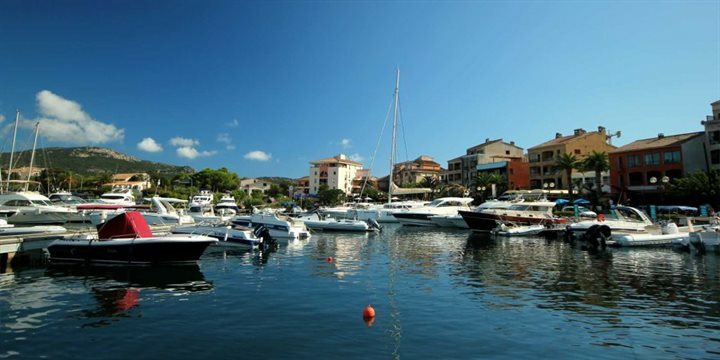 Within a few minutes walk of the old town, Porto Vecchio marina is lined with cafés and is an excellent place to enjoy a leisurely drink during those hot summer evenings. The nearest rock pools can be found in Taglio Rosso along the river Cavu. Most people love the sleepy little village of Ste Lucie de Tallano, with its grand old granite houses grouped around a picturesque square - la place du monument aux morts - looking over the valley of the Rizzanese River. From here it's only a short distance to the fabulous rock pools at Zonza. The sides of the river have flat rocks which are excellent for sunbathing, and the rock pools along the length of this stretch of the river provide tranquil and crystal-clear (if sometimes a little chilly) water in which to bathe. Go horse riding on Palombaggia or San Ciprianu beach early in the morning - a truly memorable experience.